Music can move mountains, right? 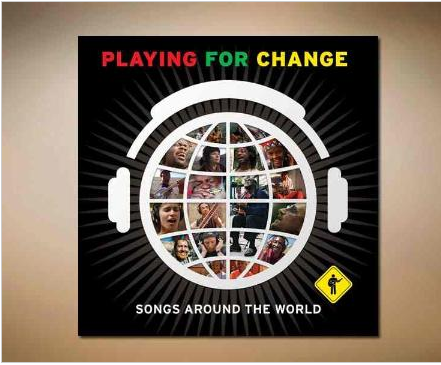 That is what the people from Playing for Change think as well. They write about themselves: “Playing for Change is a multimedia movement created to inspire, connect and bring peace to the world through music.” They perform at benefit concerts all over the world in order to inspire and give hope to people. Working in a second hand shop (thrift store) gives you all these amazing ideas like “Never buying new clothes again”.